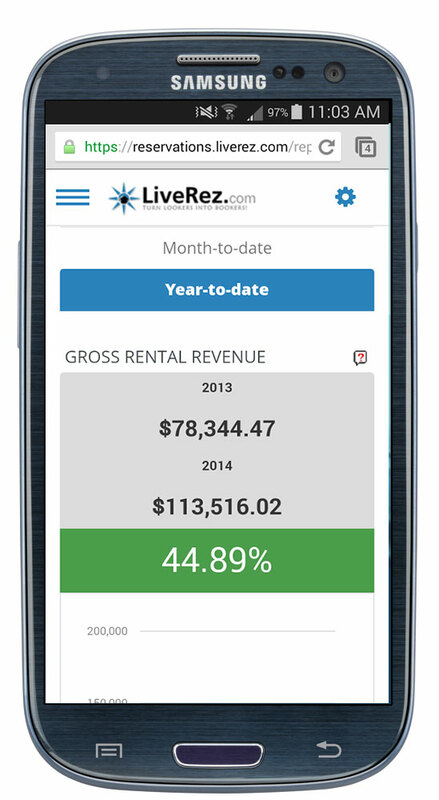 LiveRez's performance dashboard allows you to track the performance of your business anywhere on any device. Ever wished you could see how your business was performing literally any time you wanted to? Well, with LiveRez’s performance dashboard you can. The performance dashboard allows you to track crucial key performance indicators anywhere you have an internet connection and on any device. The responsive nature of the dashboard looks amazing across all devices, from smart phones to tablets to laptops and desktops. This beautiful interface is packed full of powerful statistics. Here’s a glance at what you can track in just seconds. To learn more about the Performance Dashboard, click here.